I remember the period so vividly. Yes, I do. 1992 to 1994. And I remember her name even more profoundly too-Jessica Akullo. She was a naughty, tall (3.5ft), light skilled girl with a glorious brain. Jessica Akullo and i were young, playful, ambitious and too bright for Obiarai Primary School –our village pride of knowledge. We always recited that sentence in a synchronized manner every morning as we kick-started our first lessons. In a class of 36 pupils, Jessica and I sat on the same row. She was to the far west end and me to the extreme east of the shaky muddy walls with grass thatched roof that we proudly called our class. Then, the two of us didn’t see the shortcomings in terms of infrastructure. All we craved for was a chance to be in school, to learn, and make our families proud. And what more to show for it than share the number spot for two consecutive years. That excellence earned me my first ticket to boarding school in Soroti town in 1995. With me gone, Jessica enjoyed a good spell of being the undisputed number pupil for a couple of years. Nobody matched her brilliance. On completion of my primary seven, I went on to join a fairly good secondary school for O’levels (Ordinary Level). My dreams were still very much alive. But even with my progress, I always closely monitored Jessica’s too. After finishing brilliantly her primary seven, her dreams first came to a halt and then crushed. Jessica came from a poor family. Both her parents were peasants and could not help her pursue her dreams henceforth. She sat home for year, two years, three years still hoping for a miracle to happen. No, it didn’t. By the years, she was becoming a burden to her family. And any man who could help lessen this weight stood a very high chance of snatching Jessica into his home. Four years later, as I joined high school, Jessica had waited enough, run out of options and finally forced to take the only available one-Marriage. Jessica’s price was negotiated to only a few cows and loose change (cash). And there she was. GONE. Over the years in my professional life as a photojournalist, I have met and covered many replicas of Jessica. And as the world prepares to mark World Girl Child day on October 11, a host of reasons stand in the way of the dreams of many of these young girls. 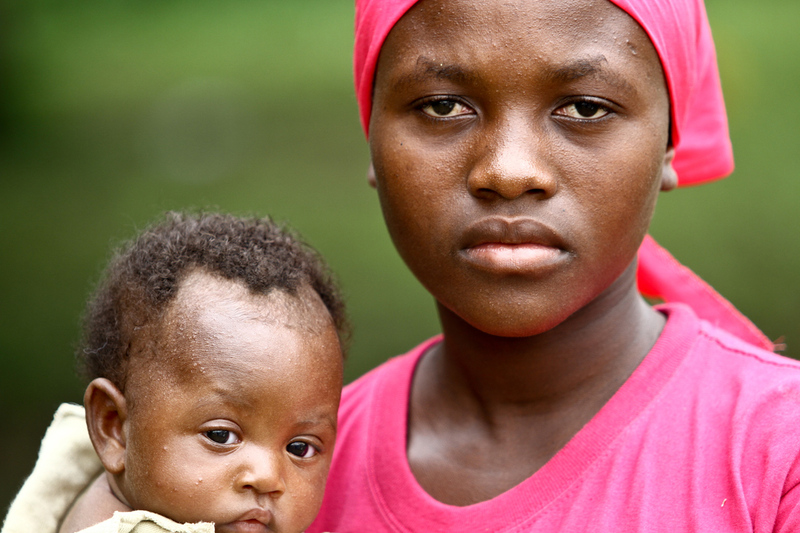 “In Uganda 49% of girls are married by the age of 18, which has resulted into early and unwanted pregnancies-all life-threatening risks for girls. Globally, more than one in three young women aged 20-24 years were first married before they reached age 18. One third of them entered into marriage before they turned 15,” According to a UNFPA report. 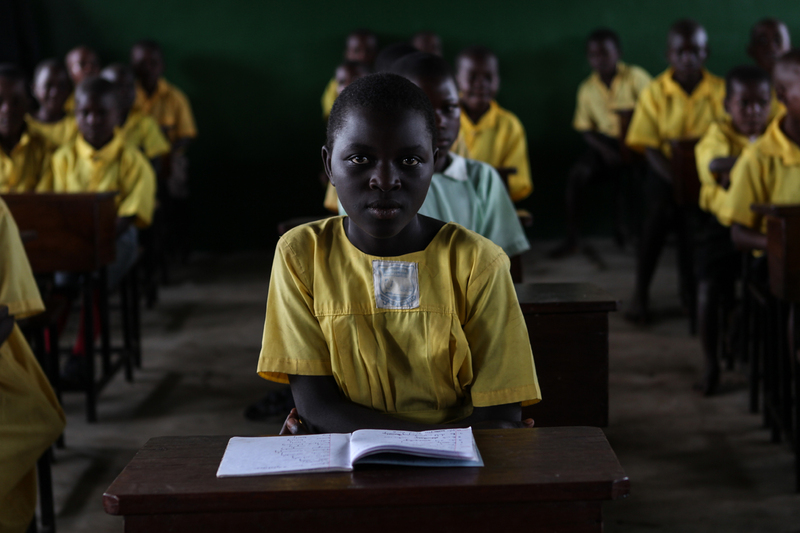 In Uganda, girls with low levels of schooling are more likely to be married early, and child marriage has been shown to virtually end a girl’s education. On the contrary, girls with secondary schooling are up to six times less likely to marry as children, making education one of the best strategies for protecting girls and combating child marriage. All Jessica needed was a chance in secondary school and maybe, she would not be a mother of countless children; five, the last time I checked. 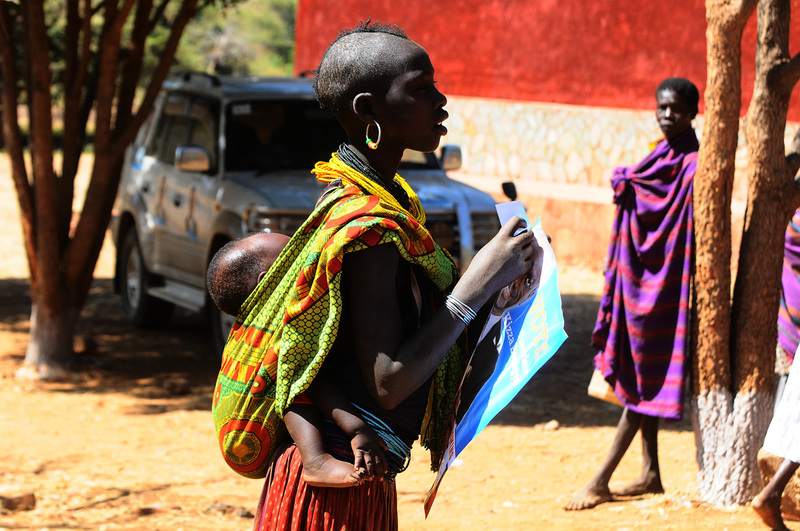 UNFPA further states that preventing child marriage will protect girls’ rights and help reduce their risks of violence, early pregnancy, HIV infection, and maternal death and disability, including obstetric fistula. When girls are able to stay in school and avoid being married early, they can build a foundation for a better life for themselves and their families and participate in the progress of their nations. Enactment of appropriate legislation like, increasing the minimum age of marriage for girls to 18 and raising public awareness about child marriage as a violation of girls’ human rights, Mobilize girls, boys, parents, leaders, and champions to change harmful social norms, promote girls’ rights and create opportunities for them, making easily available, free education for children from poor backgrounds among others would save many young girls dreams. This is a true documentation of what it means to be a Ugandan girl at the grass roots level. So is Jessica Akullo the one in pink? My ‘Like’ is of course for a very well done reportage. Congratulations to you, Edward, this is very good work, and important. 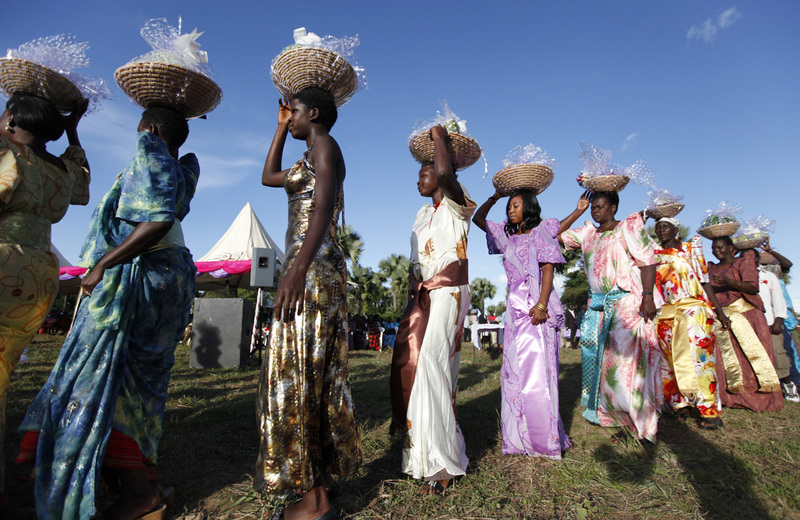 “In Uganda 49% of girls are married by the age of 18” – it is inhuman. Child marriages is inhuman, education is the way for a better future, for girls and boys. I wish a better life for all Jessicas. It is good of you to bring some joy and beauty in such a sad story, love the picture of the women with baskets. Great post, sad, but interesting, and appropriate. Particulalry given October 11 and other activities that have been happening in Uganda lately, such as the 50th anniversary of independance. Great post! ” the girl child” definitely needs a voice. Thank you for being a voice for the voiceless. A lot has to be done to protect our child – the generation to come. you have really challenged me cause i hope to participate in this competition but i must say, i commend you for the good work done and those pictures speak volumes success dear as you await my piece.